Homestead Natural Meats come from our group of six family ranches that raise high quality cattle without antibiotics, added hormones, and animal by-products. We pride ourselves in having complete control of the entire production process to ensures that we produce the highest quality products. Our USDA Inspected Processing Facility and Retail Store is located in Delta, Colorado. Our store carries Steaks, Hamburger, Roasts, Stew Meat, Bacon, Sausage, Pork Chops, Pork Roasts, Ribs, Rocking W Cheese, Austin Farms Honey AND SO MUCH MORE! Come visit us and experience the difference for yourself. You can be assured that all Homestead Meat Products will meet your high standards and your individualized tastes. You’ll love the wide selection of meats at our retail store in Delta Colorado. 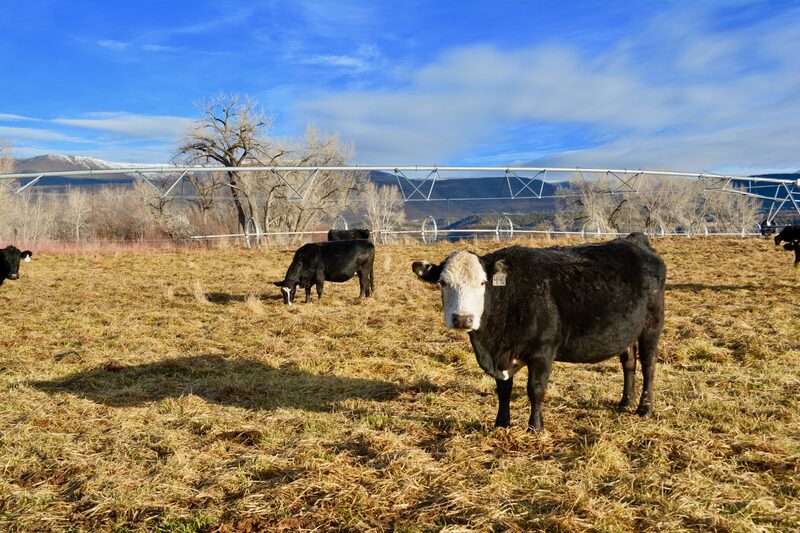 We’ve earned a reputation for producing the finest natural beef products in western Colorado. Every beef carcass is aged on the rail for 14 days before processing for rich flavor. Our pork is flavorful, juicy and tender because of our low stress environment and the fact that we never use antibiotics or growth hormones. Also in the store you will find specialty products like jerky, summer sausage, and local artisan products. Our retail store is located at 741 West 5th St. in Delta, Colorado. Come visit the gang!